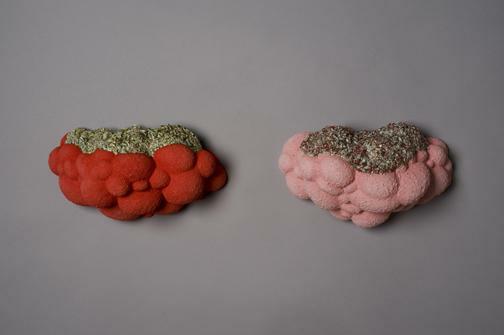 Barbara Frey has a BFA in Ceramics from Indiana University and an MFA in Ceramics from Syracuse University. Since 1975, her work has been included in more than 240 exhibitions. Barbara Frey’s handbuilt porcelain teapots have been shown in over 45 teapot exhibitions in museums and galleries across the country. 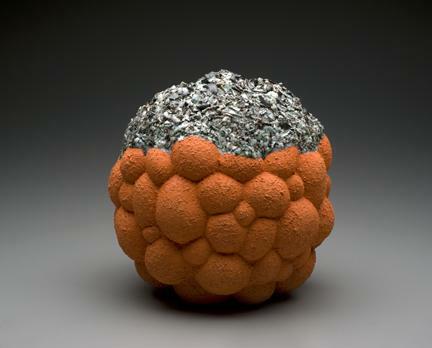 Her work has been widely published in books on ceramics and can be found in both private and public collections including The Diane and Sandy Besser Teapot Collection, de Young Museum, San Francisco, CA; The Kamm Foundation Teapot Collection, Sparta, NC; the Ichon World Ceramic Center, Kyonggi Province, Korea; the Permanent Collection of Purple Sand Factory #5, Yixing, China; San Angelo Museum of Fine Arts; the Jacqueline and David Charak Collection, Racine Art Museum, Racine, WI; the Kohler Co. Permanent Collection; and the John Michael Kohler Arts Center Permanent Collection. In 1996 she was an artist in residence at Purple Sand Factory #5 in Yixing, China, where she was introduced to Chinese teapot making traditions and techniques. In 2006 she was a participant in the Arts/Industry program at Kohler Co., Kohler, WI and produced a body of work utilizing factory facilities and resources. 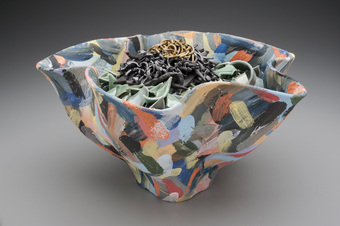 Barbara Frey is a Professor of Art at Texas A&M University-Commerce where she teaches all levels of ceramics. She spends summers in Sterling, NY where she maintains a studio with her husband, Thomas Seawell who is also an artist. As an artist committed to the making of objects, the metaphor of the ripple effect has been consistently useful in directing my creative practice. An art object is a repository of the maker’s creative energy that may be accessed by the perceptive viewer. The idea that poetry doesn’t “happen” in the words on the page but rather in the mind of the reader is also useful in explaining how visual art functions. And it is in the mind of the viewer that the creative energy, embodied and encoded in art, is released. The energy that radiates from an encounter with art can be experienced as heightened awareness, the evoking of thoughts and emotions, and the forming of associations that contextualize the experience. The power of art resides in the fact that this experience can be particularly provocative, enriching, and enduring. Art is meaningful and it is the condition of being “full of meaning” that is explored in the Offering and Gathering series. These containers are bowl-like in their openness but the open space has been “fulfilled” with densely packed contents. These containers manifest the condition of being filled, yet the contents cannot be unloaded and rearranged, being permanently bonded together by glaze in a state of suspended animation. The deconstruction of the pile and the discovery of what is underneath can be imagined and partially glimpsed, but it cannot be physically accomplished. We are aware that what can be seen is supported by what we cannot see.